The Yahoo Flaxseed Oil 2 forum is totally dedicated to the Budwig Diet/ Budwig Protocol largely focused on cancer. 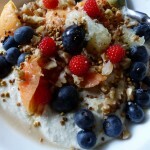 They have experience of supporting people with many types of cancer and someone there can usually answer questions about how the Budwig Diet compares with or how it can be used instead of alongside other treatments. 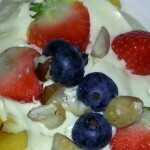 In addition there interesting stories from users of the diet and testimonials. 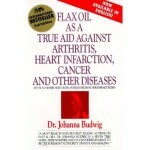 Flax Oil as a True Aid against Arthritis, Heart Infarction and Cancer by Johanna Budwig can be read online. The Budwig Protocol has been used to treat multiple sclerosis successfully. Some people find the dairy doesn’t agree with them. The OMS program is a very successful and simple alternative. The OMS program, created by Professor George Jelinek, is the most recent major advance in the treatment of Multiple Sclerosis. 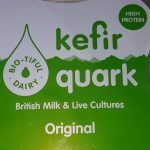 It is a holistic diet based on real food, no processed foods, lots of omega-3 but differs from the Budwig Diet in that it permits fish but does not include any dairy. How Roger McDougall overcame multiple sclerosis. This article has been added because it is a positive story that shows serious illness can be cured simply with lifestyle and diet.